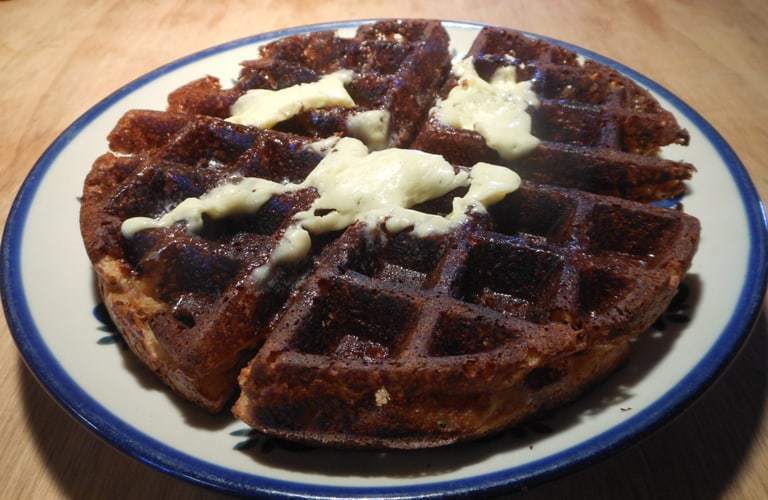 This healthy waffles recipe starts with nut butter! They are also a GAPS diet recipe but don’t let that make you shy away from these delicious grain free waffles! A perfect (and easy) way to start the day. Top with your favorite fresh fruit. For years, whole wheat pancakes and waffles have been our standard breakfast. For variety, nuts, bananas, raisins and even chocolate chips were added. I thought we were eating such a healthy, hearty breakfast! We would have been if the flour had been properly prepared. Unfortunately, I had never heard about phytic acid or lectins in whole grain. I did not know that these antinutrients could be neutralized through soaking, sprouting or fermenting. This could certainly explain some of my intestinal problems and for sure my loss of bone density at such an early age! Anyway, we had them every morning, except Sundays which were eggs and biscuit day! So, when we began the GAPS diet as a family, it was really difficult not to have waffles for breakfast. It was like a pillar of security was gone. Well, that might be a bit of an exaggeration but, it was difficult. Everyone was so excited when, during the GAPS diet introduction stage 3, I tried a healthy waffle recipe. Everyone loved them! Now, I am serving nut butter waffles. And, no longer with homemade syrup consisting of white sugar but a syrup made with honey. Since I have access to organic peanuts, I primarily use them. But, any nut butter may be used – almond, walnut or pecan. Now that the rest of the family has transitioned to a traditional diet and have sourdough pancakes or soaked Whole Wheat Waffles almost every morning, I double this nut butter recipe and freeze the extra. 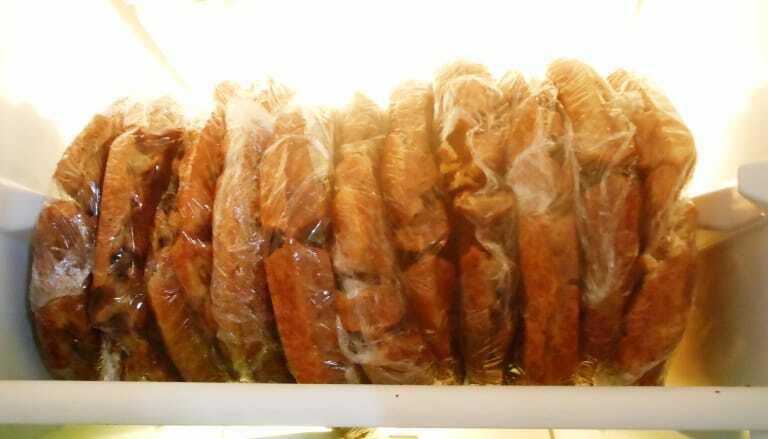 To freeze the leftovers, I simply wrap them individually and put them in the freezer. Make sure to slather your waffle with a big slab of pastured butter – the animal fat is good for you! And, don’t forget the honey on top! For an added treat, warm the honey syrup! Mmmmm Good! If you’ve tried this Healthy Waffles Recipe with nut butter or any other recipe on Cultured Palate please take a minute to rate the recipe and leave a comment letting me know how you liked it. I love hearing from you! You can also FOLLOW ME on PINTEREST, FACEBOOK, INSTAGRAM, YouTube and TWITTER. This is a wonderful grain-free alternative to regular waffles. Spoon 1/4 - 1/2 c. batter onto waffle iron and cook until golden. Each morning, one is taken out of the freezer and placed on the hot waffle iron to warm. This keeps me from feeling left out! Ohh.. that sounds awesome.. no grains at all.. Im going to try this once I locate some good kefir. Thanks for sharing this! Could kombucha be substituted for the kefir? Annie, I have not tried it but it is a probiotic also. I am not sure maybe someone else knows?? Love the tips for freezing, what a great idea and nut butter on waffles sounds sooo delicious!